Check out OUR Launch Trailer! WANT MORE OF QUILL IN ACTION? The crew at PlayStation Underground experience Moss on PSVR. From the beginning we wanted to take the core of what makes a game great and bring it to life with the magic of VR. 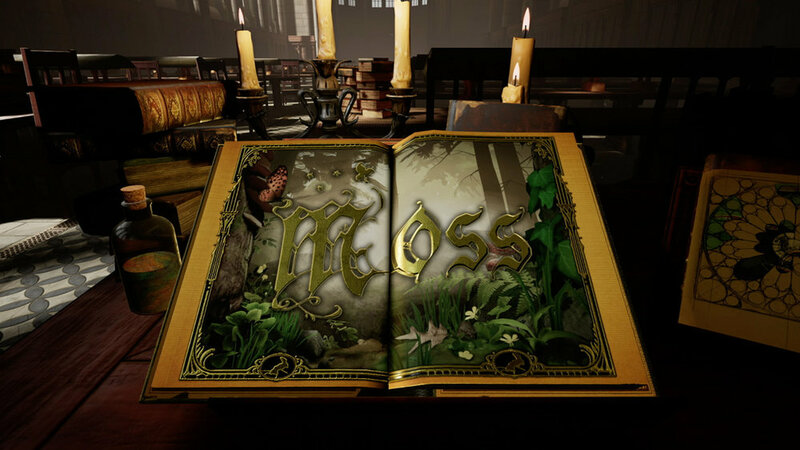 Moss is a single player action-adventure puzzle game for all ages. Built for virtual reality from the ground up, Moss reimagines classic action-adventure gameplay in a first-of-its-kind fully immersive environment. Your every action has meaning. Moss takes full advantage of today’s virtual reality technology, letting you move objects, battle enemies, and manipulate the field of play as the key ally to our hero, Quill. Travel to a lively world that hums with wonder and legend. Explore caves, forests, and foreboding ruins that are filled with ancient artifacts, mysterious creatures, and sprawling views. Your abilities are complementary to Quill’s in an alliance for the ages. Combine classic, action-adventure controls with a world that responds to your touch. Solve puzzles, combat evil, and achieve victory together. Get a little more Quill in your life with exclusive Moss downloadables and merchandise. We want you by our side throughout this adventure, so join the Moss community!